"We need that girl." 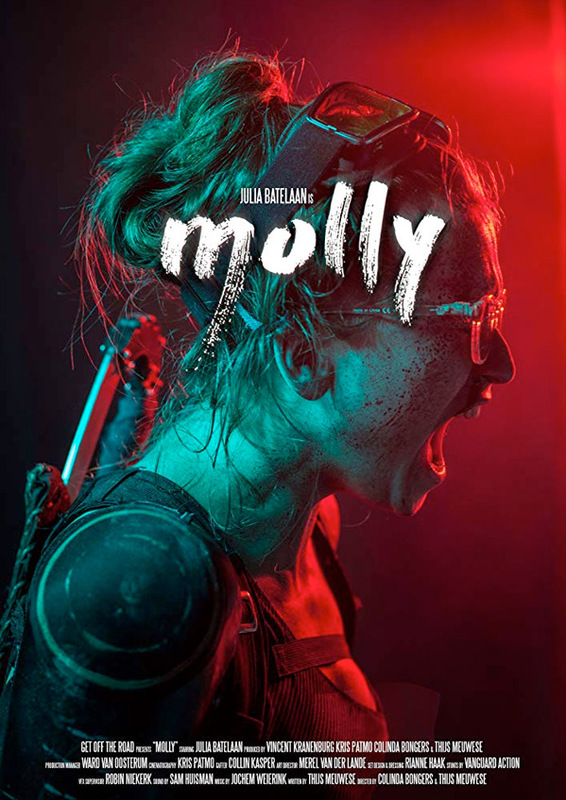 Artsploitation Films has released an official US trailer for an action thriller indie film titled Molly, which is getting a direct-to-DVD/VOD release this week. I'm surprised we haven't heard about this before? 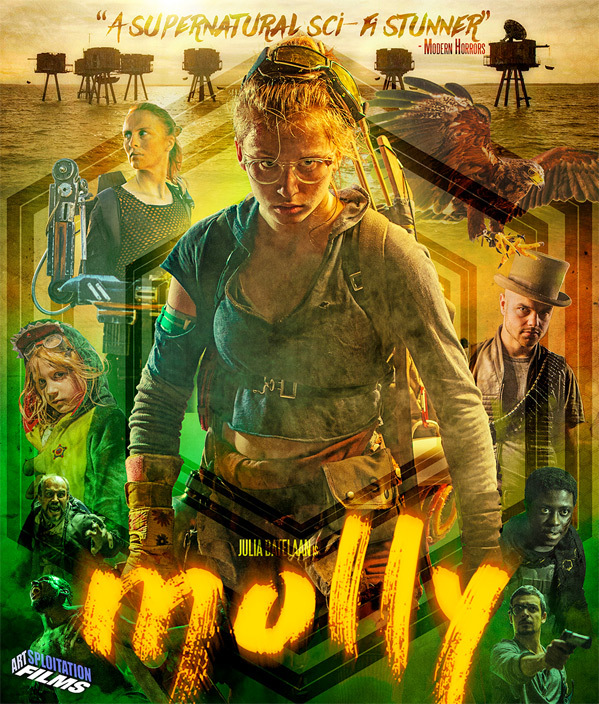 Molly is described as "Mad Max meets Turbo Kid in this electrifying and imaginative tale of one young woman's determined struggle to survive in an inhospitable world." It's a post-apocalyptic survival film, starring Julia Batelaan as the badass heroine Molly. Marauders in this gritty future try to hunt her down and make her to fight in their fighting pit for their entertainment. Also starring Emma de Paauw, Annelies Appelhof, Andre Dongelmans, and Joost Bolt. As cheesy as this all sounds, it actually looks pretty cool. The super low budget look and feel honestly works well with this, and the action looks awesome. 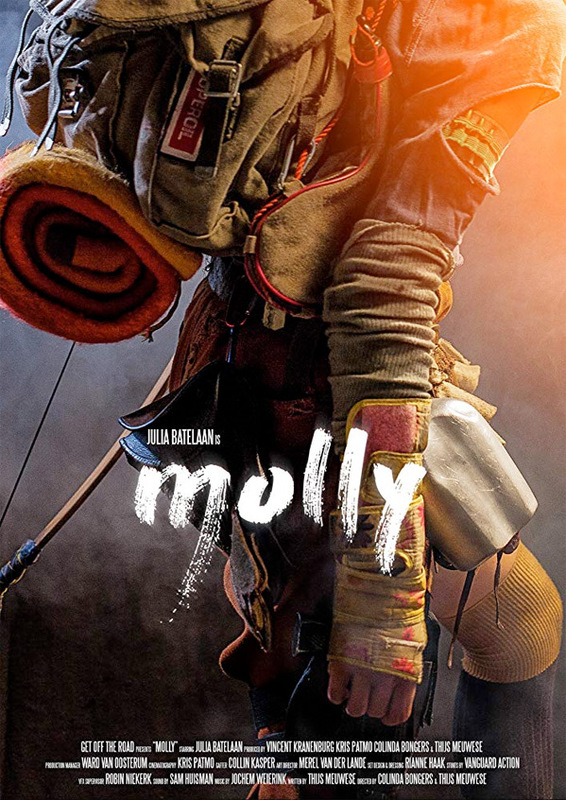 In a barren landscape ravished by war, Molly (Julia Batelaan), a super-powered young woman, roams the violent post-apocalyptic landscape, armed only with a bow and arrow, to confront the dangers around her. When a sadistic ringmaster who run an underground fight club hears of her supernatural abilities he sends his sociopathic marauders to capture her and make her a star attraction in his cage fights to the death. Molly is co-directed by filmmakers Colinda Bongers & Thijs Meuwese, both making their feature directorial debut with this film. The screenplay is written by Thijs Meuwese. This premiered at the Imagine Film Festival last year, and was released in a few places last year. Artsploitation Films will release Bongers & Meuwese's Molly direct-to-VOD/Blu-ray starting on October 2nd this week. If anyone's interested in this?